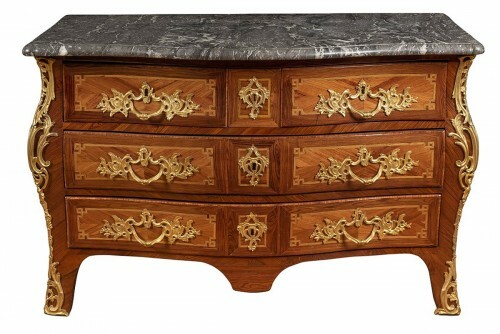 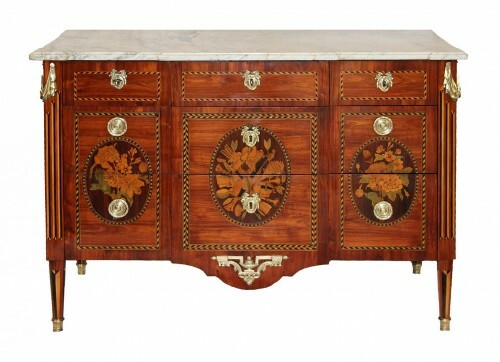 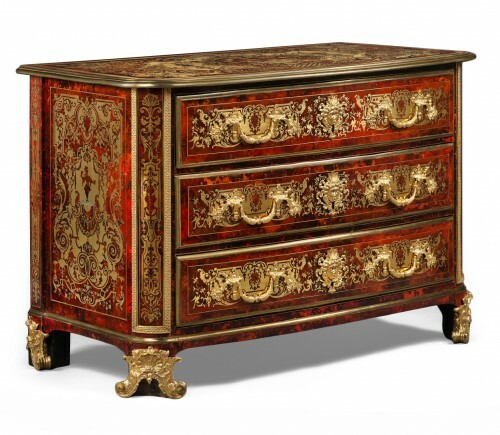 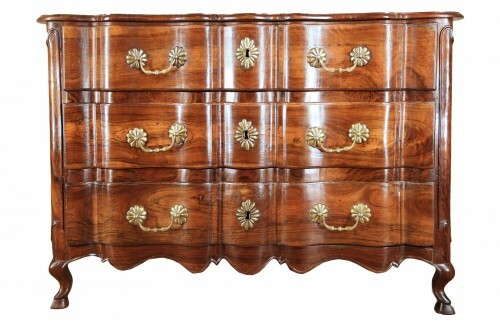 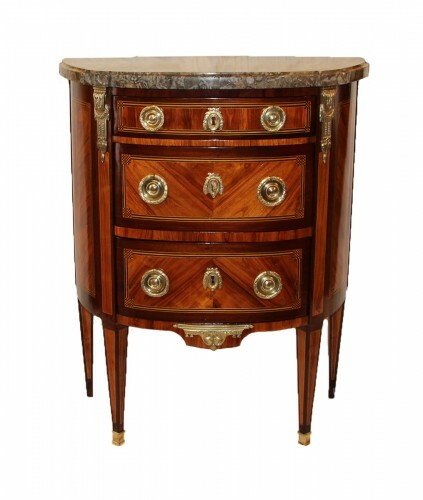 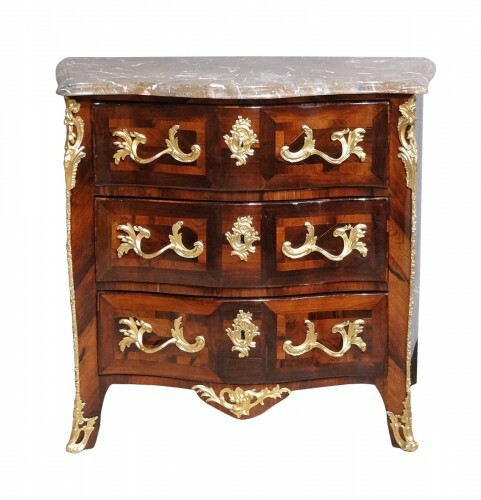 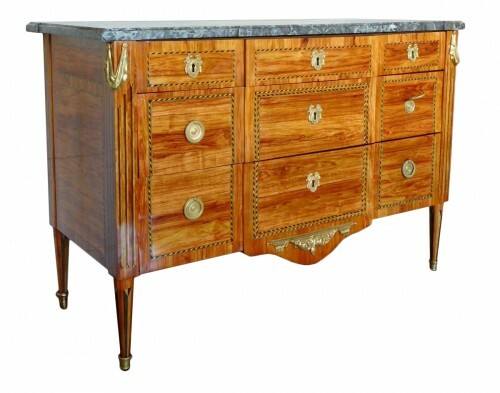 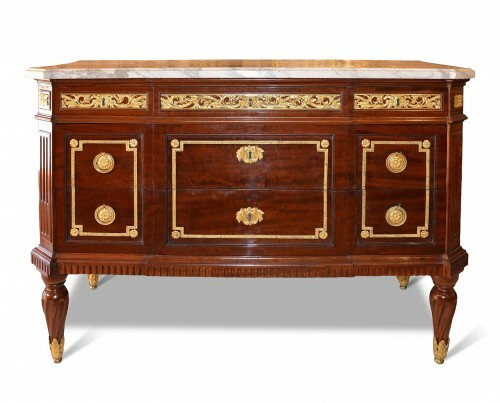 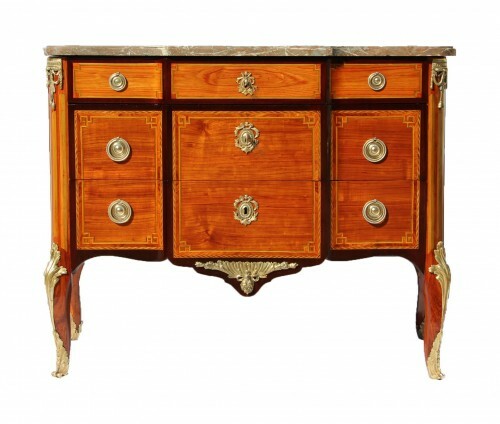 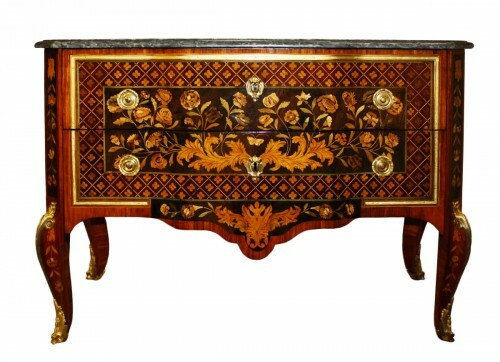 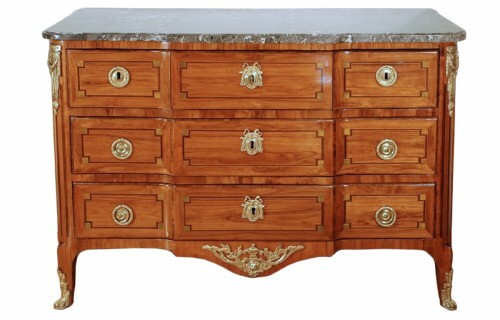 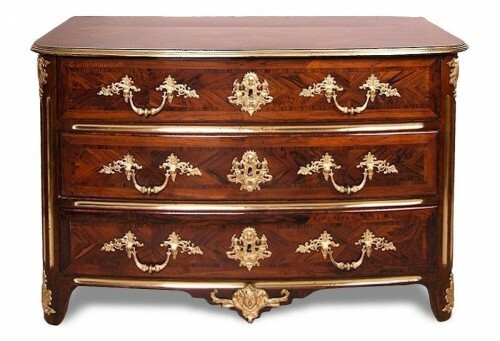 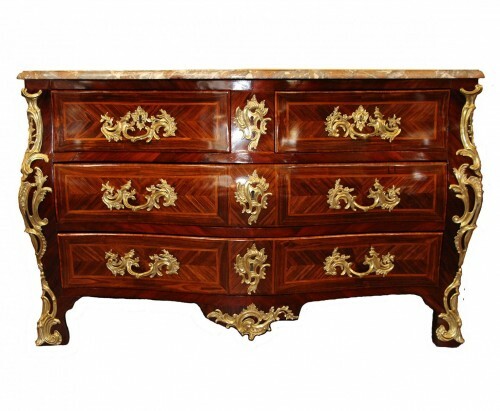 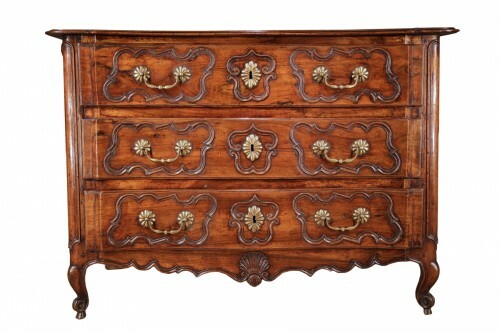 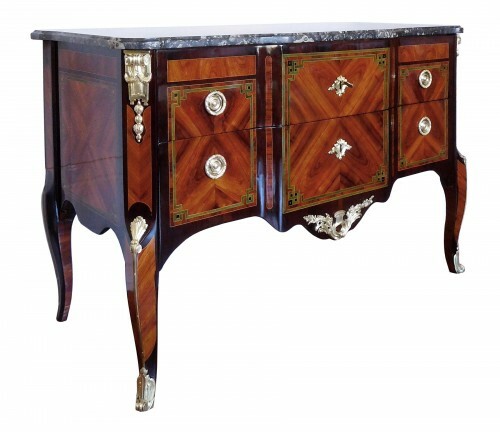 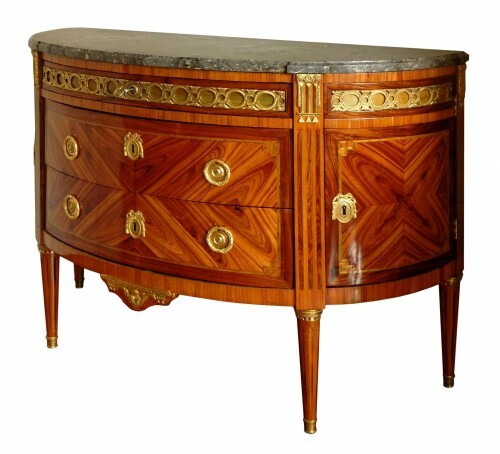 Since its invention, the commode figured among the most popular creations of the cabinetmakers of the era. 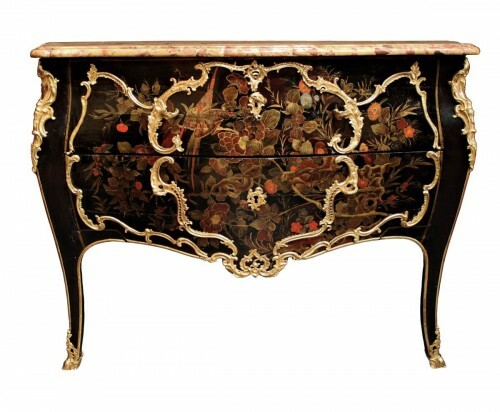 Whether arbalète, demi-lune, sauteuse or tombeau, its success was perpetuated across the styles of the 18th century. 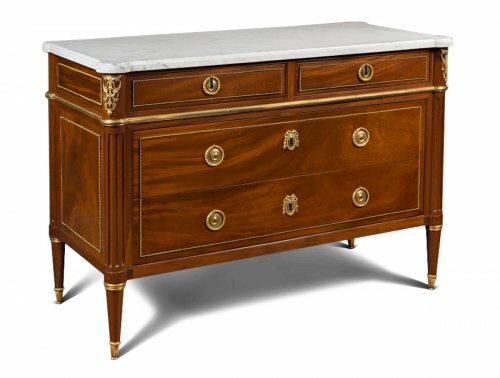 Throughout those years, the 18th century commode adapted to aesthetic and functional requirements to create perfect interior harmony. 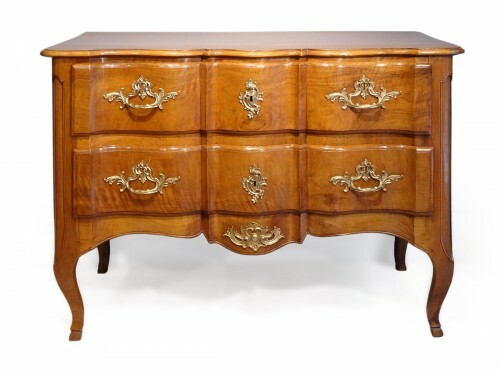 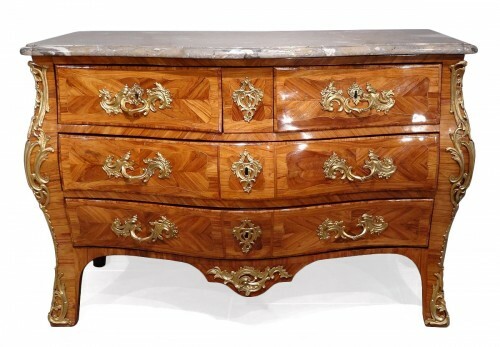 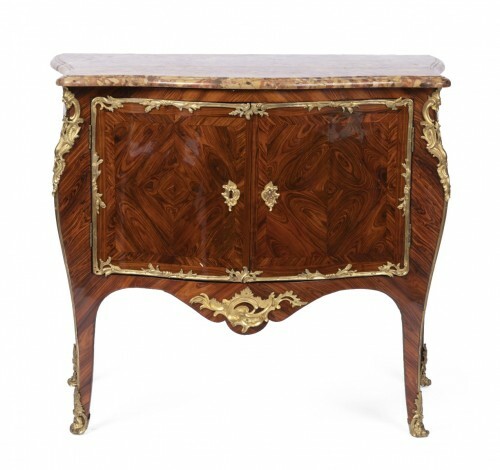 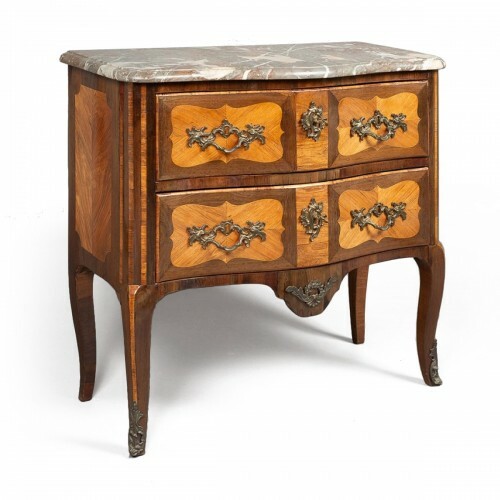 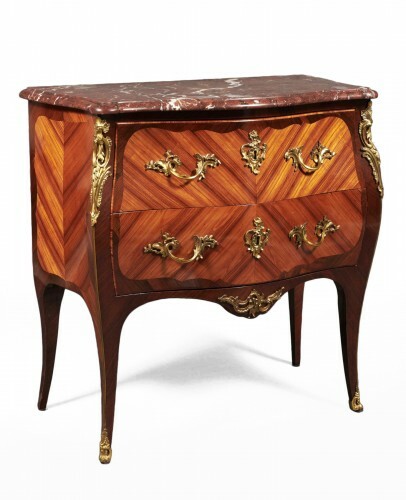 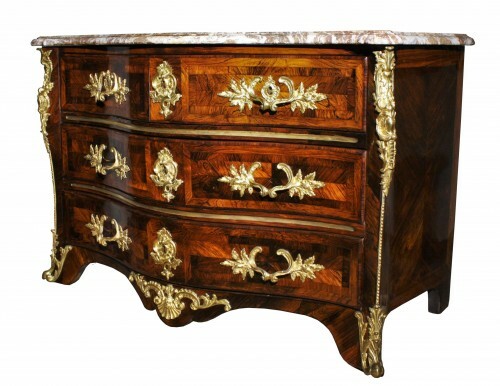 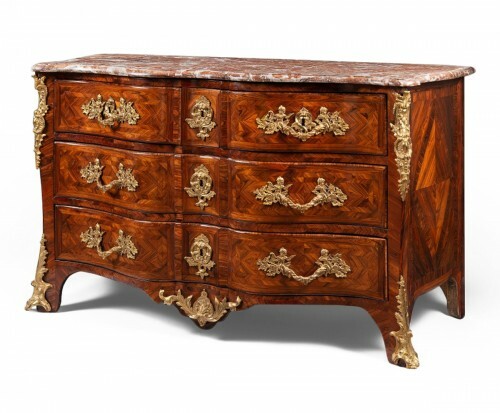 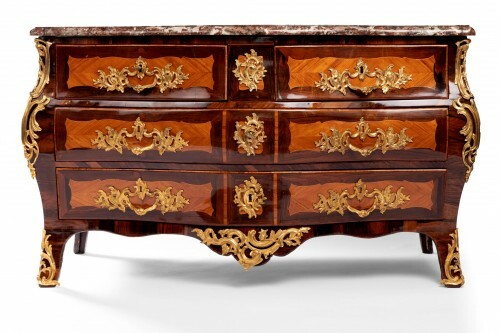 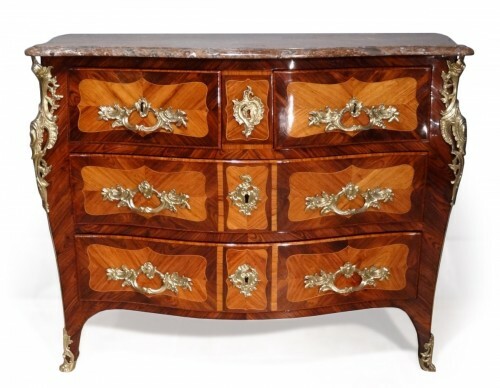 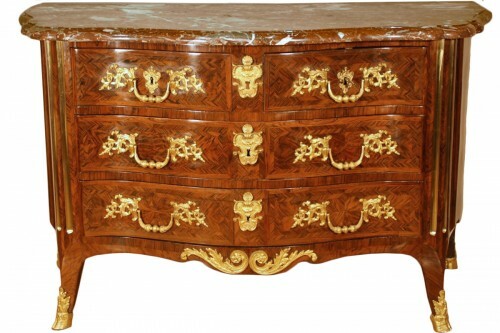 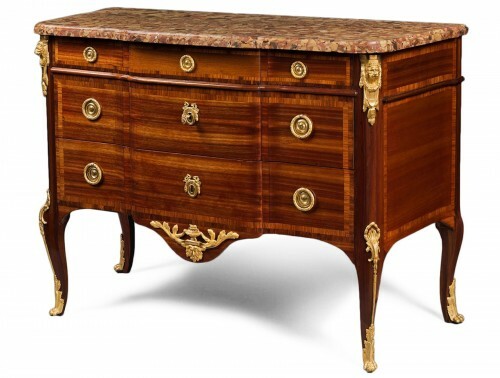 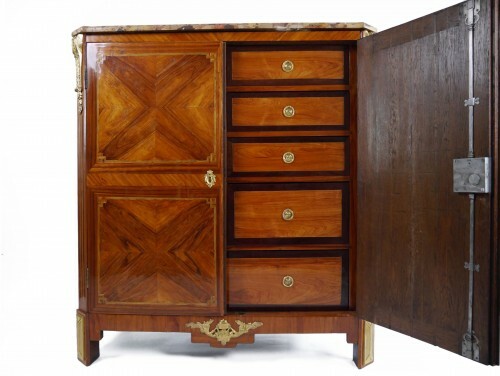 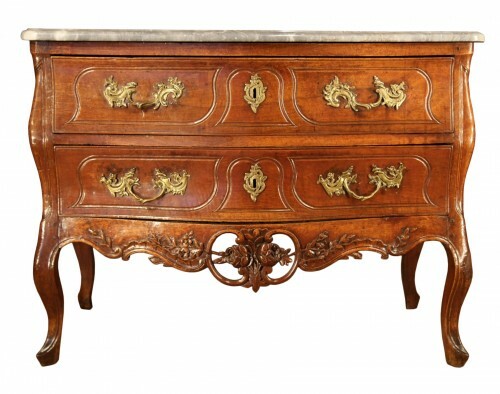 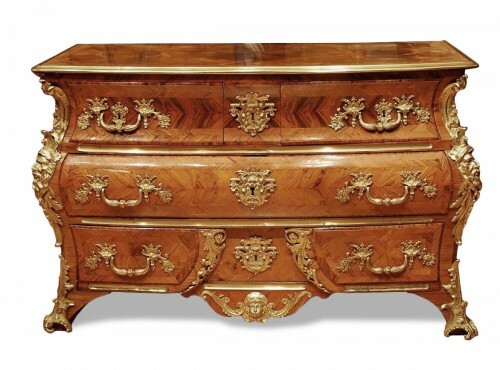 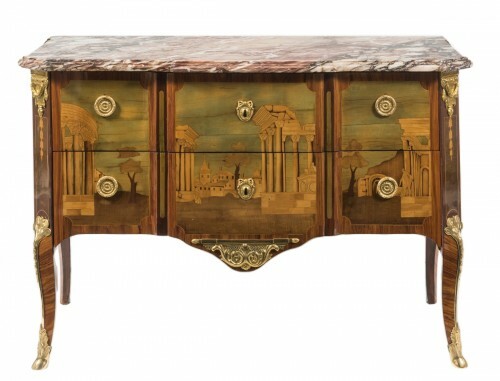 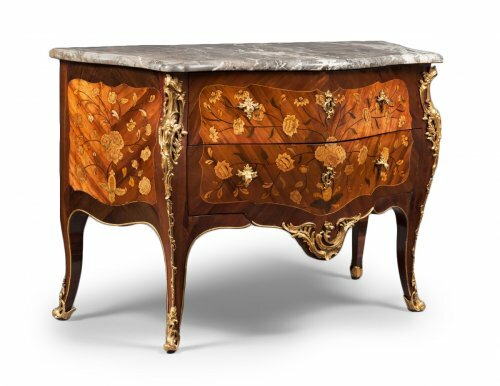 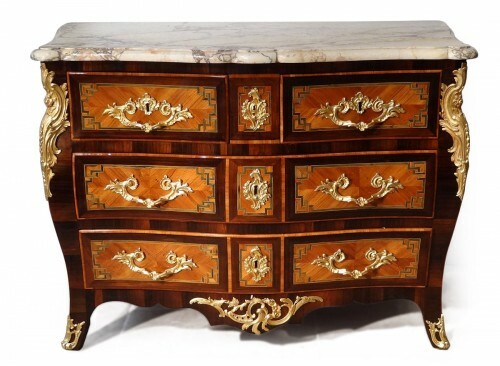 From the Régence to the Directoire, by way of the Louis XV, Transition and Louis XVI styles, the commode flourished, alternating between sinuous curves and rectilinear shapes, originality and classicism.